“It’s not a throwaway line,” Bishop Brennan said, ruminating on his years ministering to immigrants, particularly the Latino community, often characterized by their gratitude for God’s hand, regardless of where they are or what they face as it holds them. Three years ago, Silvia Herrera, 19 at the time, put herself in that hand as she left her native El Salvador, her friends and her family, and headed north to join an aunt in Frederick. She had witnessed a cousin’s kidnapping; he was later murdered and dismembered. “They saw that she saw,” noted Deacon Scott Rose, a Frederick attorney ordained to the permanent diaconate in 2016. 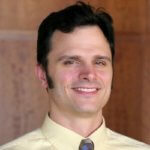 His ministry includes pro bono work for the Esperanza Center, a program of Catholic Charities of Baltimore. In addition to offering health services, English classes and computer courses, it devotes an increasing amount of resources and volunteer manpower to help immigrants gain legal status to remain with family in the U.S. rather than return to the untenable situations in their home countries. Many, such as Herrera, are young and arrive unaccompanied. Thanks to his work and that of others, hope is possible for those undertaking that journey. Herrera touched on all four of those facets of the human experience as she told the story of her flight through her new husband, Nain Martinez. “People cry on that journey,” Herrera said, remembering sharing camp with other travelers, lonely and desperate. She prayed frequent novenas to the Divine Child Jesus, a devotion of her family. At the crossing itself, presumably on the Rio Grande, a man paid to ferry Herrera and a large group of younger children packed them all onto an overcrowded raft. “It seemed like there were too many people,” Herrera remembered. Apparently alarmed by recent border guard activity, the man abruptly abandoned the children to the current’s mercy; Herrera climbed out of the raft and pulled it to the U.S. shore. As she and her companions searched for their missing guide, they were picked up by border enforcement. Herrera spent the next few weeks in two detention centers; she remembers crowded conditions, cold nights and crying children. “We got a sandwich and a drink, two times a day,” she said. Her stay was long, due to the sheer volume of cases to be processed. Before Herrera was finally released on bail, a caseworker informed her of the Esperanza Center, which, thanks to Deacon Rose and others, has a growing presence in Frederick. By itself, the danger to Herrera’s life would not have allowed her to stay in the U.S. Because her parents had left her permanently with her grandparents when she was four months old, however, Deacon Rose was able to pursue Special Immigrant Juveniles status, a designation that applies to foreigners under 21 who have been abused, abandoned or neglected. Though poor, Herrera’s grandparents had given her a loving home, Deacon Rose emphasized; he simply chose the legal strategy most likely to result in a green card and eventual citizenship. With the former attained and the latter possible in five years, Herrera now holds down two jobs at competing fast food restaurants; she hopes to work at a bank in the future. She met Martinez, 29, through the young adult group at St. John the Evangelist in Frederick. 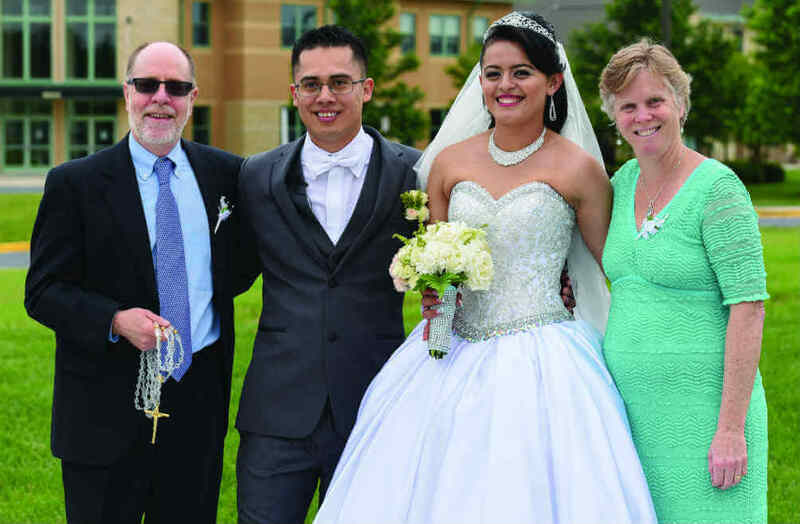 They were married May 20 at St. Katharine Drexel in Frederick, two miles from their home, by Father Juan Vazquez-Rubio, pastor of St. Timothy in Walkersville. The Esperanza Center and its staff in turn are a cog in an extensive network of parishes, agencies and individuals that act upon the Biblical directive – present throughout the Old Testament as well as Matthew 25 and elsewhere in the Gospels – to offer welcome and hospitality to the “stranger” – namely immigrants. He said the number of undocumented individuals who worship at Sacred Heart is as large as the number with settled immigration status. “We tell people, ‘If you have an order to appear (before an immigration court), certainly appear, but don’t go alone,’ ” Father Lewandowski added. He often refers individuals to Esperanza or to the World Relief Baltimore Immigration Legal Clinic downtown. The Immigration Outreach Service Center, meanwhile, an independent organization at St. Matthew Parish in Northwood, includes leadership from other Christian churches in close proximity to St. Matthew. As a young priest for the Archdiocese of Washington, Bishop Brennan was sent to the Dominican Republic to learn Spanish. He has since worked with immigrants, and heads up Hispanic ministry in the Baltimore archdiocese in addition to his role as eastern vicar. 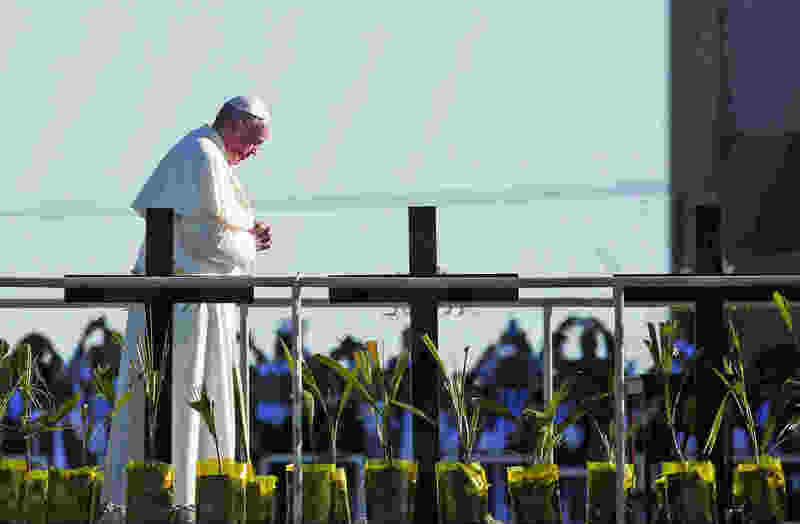 “The reason our Catholic Church is growing in this country is because of immigrants from Latin America and some other places, and the fact that these are younger couples who are having children,” he observed. “This church is open because we have 1,400 people coming to our Spanish Masses,” confirmed Father Lewandowski of Sacred Heart, which like St. Mary in Annapolis, St. Joseph in Cockeysville, St. Clare in Essex, St. John in Westminster and numerous others has a vigorous outreach to Latino Catholics. Their love for certain feast days and processions is contagious, Bishop Brennan noted. “You see a growing number of (English-speaking) Catholics at these events,” he said. Furthermore, Latino Catholics are setting a solid example in missionary discipleship, a way of living the faith and evangelizing others for which Baltimore Archbishop William E. Lori has been banging the drum throughout the archdiocese.